When you’re a business owner, costs from your printer and copier can eat up time and money. It’s aggravating—after all, your IT department should be able to focus on taking care of larger issues than printer jams or copiers running out of ink. The Jessup, MD, experts at Laser Line provide printing equipment, management, and maintenance services to businesses in D.C., Maryland, and Northern Virginia. They hope to bring their worry-free service philosophy to a wider range of customers, and they just launched their new website and Facebook video. 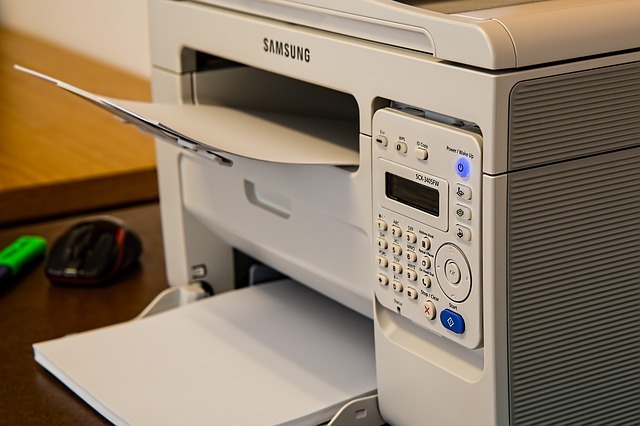 The site lets visitors browse equipment, like laser printers and office copiers. It also outlines their Managed Print Services, which is a unique solution for businesses frustrated by printer and copier maintenance and service costs. This program pairs you with a personal advisor who becomes the point person to manage all your printing needs. This isn’t just someone who sets you up, gives you some advice, and says goodbye; they’re a resource who works for you, continually monitoring costs and efficiency so you can worry about bigger aspects of the business. Laser Line’s automatic recycling program positions them as an early adopter of “going green,” with a tradition of recycling that goes back to their grand opening in 1989. In fact, they’ve recycled almost 250,000 toner cartridges. If you’re a Jessup, MD-area business owner, consider Laser Line. Their printer and copier supplies, maintenance, and service specialists are dedicated to helping your business thrive. Check their new website or call them at (410) 636-1700 to learn more about their services.